SmartAction’s Intelligent Voice Automation (IVA®) enhances the voice self-service component of the inContact inCloud Ecosystem for the contact center. Los Angeles, CA (October 10, 2016) – Today, SmartAction announced its inCloud Ecosystem (iCE) partnership with contact center software leader inContact. 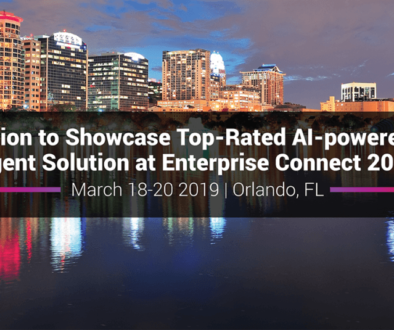 SmartAction is the leader in artificial intelligence powered voice self-service and will help extend inContact’s voice capabilities. The iCE partnership allows both companies to combine premium services, technology, and insight to bring businesses an innovative and transformational customer experience. As an iCE Developer, SmartAction’s Intelligent Voice Automation (IVA®) seamlessly integrates and coexists with inContact’s inCloud Ecosystem, and is capable of handling complex and sophisticated calls in a conversational manner. Together, SmartAction and inContact allow companies to provide complete and effortless customer experiences. 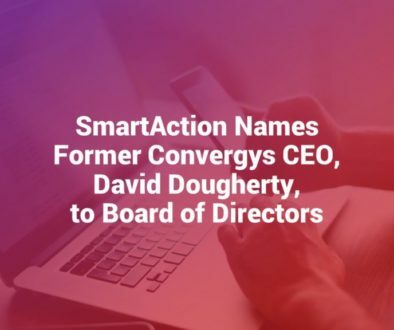 September 28 marked the launch of SmartAction and inContact’s first shared client–a prominent fashion e-retailer–which has proven successful to raving reviews from the client’s team. Further collaborative integrations are scheduled for Q4. In addition, SmartAction CEO Tom Lewis will speak on the future of the contact center at the inContact User Conference this week (October 11-13) in Orlando, FL. inContact (NASDAQ: SAAS) is the cloud contact center software leader, with the most complete, easiest and most reliable solution to help organizations achieve their customer experience goals. inContact continuously innovates in the cloud and is the only provider to offer a complete solution that includes the customer interaction cloud, an expert service model and the broadest partner ecosystem. Recognized as a market leader by Gartner, IDC, Frost & Sullivan, Ovum and DMG, inContact supports over 6 billion interactions per year for enterprise, midmarket, government organizations and business process outsourcers (BPOs) who operate in multiple divisions, locations and global regions. To learn more, visit www.incontact.com.